The Lone Star State is more than cowboys and country music. 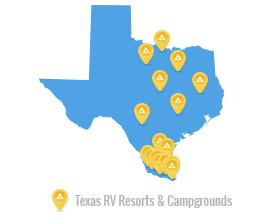 At our Texas RV parks and campgrounds we aim to show you all of the scenic, historic, and recreational opportunities that exist. 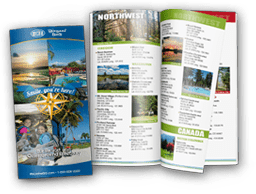 In fact, stays at our RV resorts in Texas give you a heapload of vacation options like our warm and sandy beaches, natural freshwater lakes for boating and fishing, and even a little adventure at places like the Alamo and the Colorado River. Come on over to our Texas RV parks & resorts. We've got a Texas-sized welcome waiting for you! With a large collection of RV resorts in Texas, RVontheGO offers multiple outdoor camping experiences. We have Texas RV parks located in the following regions: Dallas, Houston, South Texas and San Antonio.